The manufacturer published the official photos of the model. Judging by the pictures, the design of the front part will be made in the style of Hyundai Santa Fe 2019. However, the feed and the interior of the cross got the original. According to some reports and studio GFG Style experts, the company directly participated in the design of the E315. However, this is not officially confirmed. 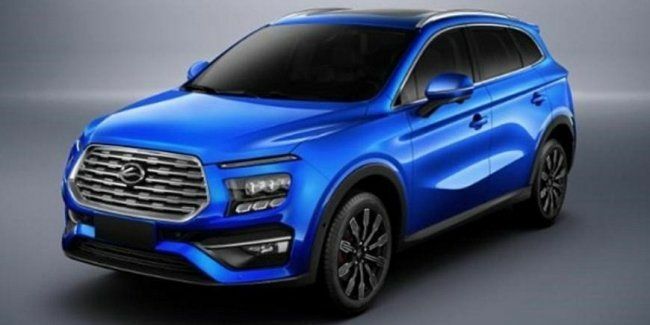 Recall that the Landwind brand, which appeared in 2004 as a joint venture between Changan and Jiangling, became "famous" by creating copies of the most "famous" models of the global automakers. Among them are the X7 SUV, which is a “clone” of the Range Rover Evoque, and an SUV X2, reminiscent of the Lada Xray. It should be noted that Landwind cars are not popular even in their homeland. The sales of the brand are noticeably falling from year to year, so it was decided to release a new "salvage" model. Information about the motor range of the car is also kept secret. Perhaps, the cross will be equipped with engines that equip other topical brand SUVs. For example, the X7 and Xiaoyao rely on a 1.5-liter GTDI gasoline turbo with a return of 163 hp. Under the hood, the X2 is fitted with a 1.6-liter "aspirated" volume of 125 hp.